Years back, during the debate over the right to die via assisted suicide, I clipped from a newspaper an editorial cartoon I particularly admired. Drawn by Jack Ohman of the Oregonian, it is still tacked above my desk today, more than a decade after first glimpsed. Another billboard shows a bottle. “Drink booze, ” it exhorts. Still another billboard depicts a pack animal with a long cigarette dangling from its mouth. “Smoke, ” the billboard prods all who see it. In a different cartoon format, animated cartoons, characters regularly step off cliffs, are suspended in mid-air, look down, register horror, and frantically windmill their arms before plunging earthward. It’s funny when seen in a cartoon, but how many people want to go through the same thing in their financial lives? 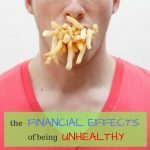 Yet a financial precipice is precisely what many blithely stroll toward all the time. It’s generally considered wise to maintain at least six months of funds in case of emergencies, from sudden joblessness to medical crises. The recent recession has had many financial gurus arguing for 12 months or more. 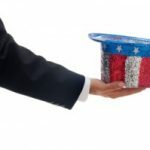 But in fact, if a recent survey is any indication, between a quarter and a third of Americans face going over a fiscal cliff all the time in that they have no money saved for emergencies. Let me repeat that. None. As reported widely in June, the most recent Bankrate Financial Security Index found 28% of folks had not a bit of savings stashed for emergencies, up from the 24 percent reported a year earlier. About 20 percent of respondents were more prepared, having enough cash in an emergency fund to pay for less than three months of expenses, and 42 percent had at least three months of cash saved for personal catastrophes. The lack of a rainy-day fund was influenced by how much a respondent earned per year. 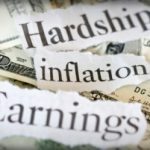 Just nine percent of people earing $75, 000 or more, but more than half those making $30, 000 or less, had no emergency fund. But as a group, even the higher earners weren’t particularly distinguished in reaching the six-month mark. Only about 45 percent of those comparatively flush people had managed to save a half year or more worth of emergency money. If there was ever a dead-on accurate comment on the ills delivered by America’s mad, mammoth marketing machine, that is surely it. If you’re to start building an emergency fund, you must start ignoring the marketing machine. I mean, c’mon. Do you really need to take two cruises a year? Is $27, 000 in annual restaurant bills an absolute necessity? Won’t a big-screen TV smaller than a full-size Buick suffice for your family? Do you have to replace your iPhone or tablet with updated versions every 22 weeks? Can’t you get as good a caffeine jolt from a regular cup of joe as the $6.99 latte? Get yourself into a payroll deduction program whereby money is deducted from your paycheck before you ever get a gander at the greenbacks. Pay yourself first by adding your name to the list of entities you pay every month, such as your mortgage, credit card and cable TV providers. Take the change you bring home each day and drop it into a jar. At the end of the week or month, deposit the coins in your savings account. Over 365 days, that little bit of daily change can be a nice start on a rainy-day fund. Okay, I know the fiscal cliff we as a nation face is serious, and requires the attention of Congressional lawmakers who this year at least have seemed more intent on savoring lengthy vacations picking fights with each other than forestalling a walk off the cliff. There’s not a lot you and I may be able to do about their inaction. But we can work to ensure we have funds to see us through in the event of unforeseen disasters impacting our own lives. Such an emergency fund can give us an edge. An edge that should help us avoid the ledge. 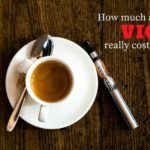 How Much are Your Vices Really Costing You? 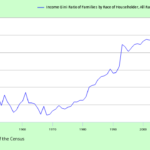 Income inequality: Whose side are you on? No offense, but how is it a benefit for the state in which @Donn lives to pay a nurse 4x the value that Donn produces? As measured by the money his employer is willing to pay for said work. (Not saying pay is the only measure of value to society, however, with differentials that large it’s hard to argue otherwise.) It seems like it would be better all around if he stayed home and took care of his daughter himself. 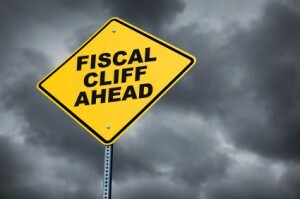 The national “fiscal cliff” is a mirage, created by our own Congress. Since it was created by Congress, Congress could just as easily un-create it. They are the ones that made arbitrary deadlines for across the board tax increases, and across the board spending cuts. Don’t let anyone try to fool you that this is something “real”. I have perfect faith that Congress will swoop in at the last second to kick-the-can down the road for another year. BTW: with the Dems increasing seats in Congress (to be sworn in on Jan, 2013) — Obama has more bargaining power by _waiting_ till January. The GOP really screwed themselves with the Norquist Pledge (seriously, how dumb must a congress-critter be to sign a pledge like that? They should all be fired.). @Donn) The #1 priority is your daughter. Accept the advice you have already gotten: don’t save, or if you really must, hide it. Personally, I would’nt do anything to jeopardize the state assistance that you are getting, if it is Truly Needed (which it sounds like it is in your case). We’ve made decent-enough preparations for any personal or family “fiscal cliff” that might come along. My worry about the “Fiscal Cliff” is that failure to fix the problem causes my retirement savings to evaporate and my home equity to disappear, effectively eliminating a good chunk of our net worth. It is quite sad that many people do face fiscal cliff’s everyday, it is never as funny as in the cartoons, however when it its the country with the worlds largest economy the impact is substantially greater in fact if it is not resolved it will most likely push everyone who is teetering on their fiscal cliff over the edge. Fiscal responsibility is needed at both the personal and national level, using one to rationize the other is just a bad excuse. There are many things you can do improve your situation, it is similar to estate planning, wealthly elderly people shelter assets to get free stays at nursing homes or in home care, you need to employ some similar strategies. You haven’t provided enough info to get into a lot of details, if you would like email me in private I would be glad to discuss some specific options. I’m hoping somebody can make a suggestion of how to deal with a situation I’m in: the state prohibits me from having savings. If that seems like a strange statement, here are the circumstances: my 9-year-old daughter has a very rare chromosomal disorder. Though we have good private insurance, it won’t pay for nursing care for her. She has to be suctioned every 10 minutes. I cannot work all day and take care of my daughter all night, so the nursing care is essential, and costs more in a week than I make in two months. So we have to have the state insurance along with the private insurance. At our income level, if have more than around $2,000 in savings, my daughter loses her insurance until the savings drop below that level. Of course, although she would requalify in less than a day, it takes days to get her back on the insurance, and in the meantime we are without nursing. So, in effect, the state prohibits us from having savings. 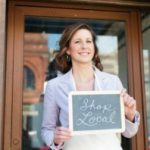 Any ideas of a way for us to be both responsible and legal? We have actually had state workers tell us off the record to save money “under the table,” but we want to be in integrity.